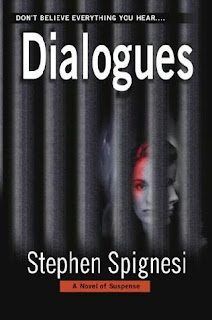 Dialogues by Stephen Spignesi is a genuinely gripping read because once you start, you'll have a very difficult time putting it down for a break. I read this book in one entire sitting last night! Dialogues details the sentencing of Victoria (Tory) Troy, a certified animal euthanasia technician who murders her co-workers in their animal shelter gas chamber. Tory's intelligence gives readers insight at first into the possibility that she may not have committed the crime, and if she did, the question of WHY is what vexes us. The book's chapters are broken into nothing but "dialogues " between Tory and various key players in the novel such as her attorney, doctor, mother, and so on; which give us glimpses into the many facets of Tory's personality and life. What makes Dialogues so addicting is that readers are already given the gruesome details of the crime, so we are merely straining to find out Tory's motives as we are enraptured with a novel whose events are so horrifying and unbelievable. Dialogues is not so much a novel of "suspense" as the tagline indicates, but more of a psychological thriller. We know the ending is going to be shocking and unpredictable, and this factor is exactly what makes Dialogues such a fascinating ride. 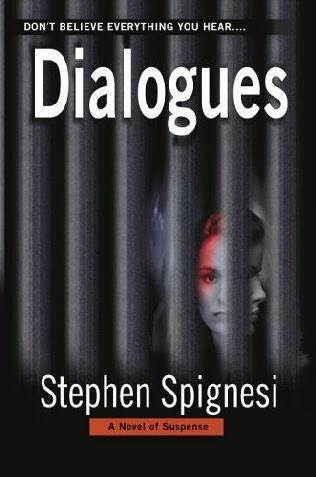 For readers that are looking for a fast read to lose themselves in for a night, then Stephen Spignesi's Dialogues is definitely the book for you!